Rebecca has been working in the medical field and helping people since she was 18 years old. She loves exercising, taking walks, and just enjoying the world around her. Her son Kaj and I look forward to seeing her get her life back, return to work, being active in the community and really enjoy herself again. As you can imagine, the cost of a transplant is very expensive. Even with insurance, there are many expenses that must be paid out of pocket. 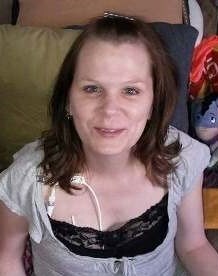 Our most immediate concern is raising funds to cover the expense of a 24/7 caregiver that Rebecca is required to have at the time of transplant. She will be placed on the active waiting list for this transplant once those funds are secured. In addition, she will have co-pays, deductibles, travel to and from Cleveland and relocation expenses at the time of transplant for at least 6 months. In addition, Rebecca will be on a lifetime of anti-rejection medications. This is where your support is desperately needed. A fundraising campaign in her honor has been established with Help Hope Live, a trusted nonprofit organization that has been providing community-based fundraising guidance to patients and their families for more than 30 years. All donations are tax deductible to the full extent allowed by law, are held by Help Hope Live in the Great Lakes Small Bowel Transplant Fund, and are administered by Help Hope Live for transplant-related expenses only. To make a donation to this fundraising campaign, click on the Donate Now button. On behalf of Rebecca, Kaj, myself and our families, thank you for your kindness, prayers, support, and generosity. Please keep an eye on Rebecca’s campaign page at www.helphopelive.org because we will be planning some fundraising events soon and posting updates regularly. I just wanted to update everyone and let you know that I’m still looking for a caregiver. I also wanted to thank you all for the support, donations, and especially the prayers it means the world to me. I’m also happy to report that I found a church where I feel like part of a family once again. Everyone there is so nice and welcomes you with such a warm embrace. I am happy I picked the church I did and I look forward to going there this coming Sunday and many more 🙂 I will try to keep you all posted as often as I can. I know I already thanked you for the donations and especially the support/prayers. I feel so blessed to know/ have met so many wonderful people that are very loving and caring 🙂 So thank you all!!! !